Online surveys are the best means for getting feedbacks from online users or customers. This feedback will give you an insight about what people think about your product or services and what type of changes they want in your business, which in turn will improve your customer interactions and relationships and boost your brand image. But showing a simple survey on your website isn’t enough to get responses from users. You have to configure the survey to engage the online users. Here are some tips and best practices to create a survey that will attract and engage your users and increase the survey response rate. Don’t ask random survey from your customers. You have to customize your survey according to the customer experience. For example, if a customer purchases something then ask for his purchase experience. Ask for product rating after a product is delivered to the customer. If you will ask the right survey at the right time then you will get higher survey response rates. Customer will feel secure if you inform them about their data privacy before asking sensitive questions and then they are more likely to give answers to personal questions. Let them know whether you are going to show their feedback publicly or use their data anonymously. The first gain confidence of your customers then asks questions. Never do a random survey with random people, always use segmentation to group your customer’s basis on their last activity, preferences, language, purchases etc. If you are doing a survey on a website then you should check your survey appearance on a mobile website too. Online users use mobile more than desktop. That’s why you have to make your survey mobile-friendly. Your survey should be easy to fill out on mobile devices. If you are asking many questions of your customers, then your customers may leave after answering some questions. Customers are the very busy creatures so don’t expect them to fill out your whole survey at one time. If Customers are leaving after answering some questions then through follow-up you can ask remaining questions. If your customer miss survey on a website then you can ask survey by an email. Following-up will boost your customer’s participation and increase survey response rate. Keep the design of your survey very simple. Excessive usage of images and graphics can distract your customers and they will leave your survey. Use graphics just to inform about the survey at the very first page. And keep the steps simple with questions and answering inputs. Don’t make a large survey with lots of questions. Group your questions and ask them on multiple screens. Shorter the survey better will be the response rate. It’s very important to know when your customers are active. Like if your customers are working professional then they can fill out your survey in the morning through email or during launch breaks. First of all, you have to determine the best time period during which your customers are most active. You can determine it by your past survey responses. This will provide you higher response rates. In NotifyVisitors, you can get it in the analytics section. Don’t show direct survey form or popup to your customers when they open your webpage. It will distract them and they can close it. Wait for user to leave and when they are about to leave show them your survey. 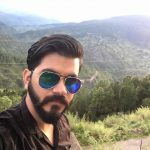 Rizwan Ali Khan, the Product Manager at Notifyvisitors is a tech Geek, UI / UX Designer & Creative Writer who likes to learn about new technologies in his free time.